-but, much, MUCH more recently he has cropped up in the 2016 Sci Fi Special, and Prog 2011 (no, not the Xmas prog from 2010, the Xmas prog from 2016). Dobbyn tosses off a host of alien weirdies like it's no big deal. Friendliness – I’ve not met the man, although I’m sure he’s perfectly friendly, but I mean his art comes across as friendly. Even when he’s drawing vicious mutants or psycho killers, it’s still friendly. Also fluid, graceful and with well considered mise-en-scene, to use the cinematic term. It basically means choosing and arranging things (people, objects, scenery) into a frame in a pleasing way that tells the story and also communicates tone and atmosphere. He’s also great at drawing people who are slightly miffed - and sometimes, extremely miffed. but professional artists can gt away with doing it from time to time to really add some drama. Poor Nigel Dobbyn. A consummate professional, and a Prog mainstay for quite a span of time (in fact, the exact span when I first got into the Prog in a big way). And yet he never really got to work on an all-time great series. His first Future Shocks were solid, showing a facility with future worlds that are entirely believable, not too far-fetched. Uniforms, weapons, buildings etc. Super detailed uniforms contrast with sparse backgrounds to really set the tone. It led pretty seamlessly into his first full series, Medivac 318, very much a realistic take on space opera, based around a ‘Medical Evacuation’ team. The future tech is not too outlandish, and the alien societies very much in the classic vein of metaphors for different factions of humans. Dobbyn brings it all to life and makes the whole thing very accessible – vital because there’s an awful lots going on in terms of characters and setting. This is just great comics right here - the art tells the reader what's going on so clearly that the writer can use the dialogue to communicate all sorts of other ideas, and not have to explain what the pictures show. A true team effort. Robinson’s storytelling style, in this series anyway, involves quite a bit of banter. Dobbyn seems to have no problem with this, and adds huge amounts to the whole thing by fleshing out all sorts of background details in his panels. Dobbyn's blacks suffered from late 80s printing methods. But he throws in some miffed faces, so we don't mind. Giant inesects with ray guns! 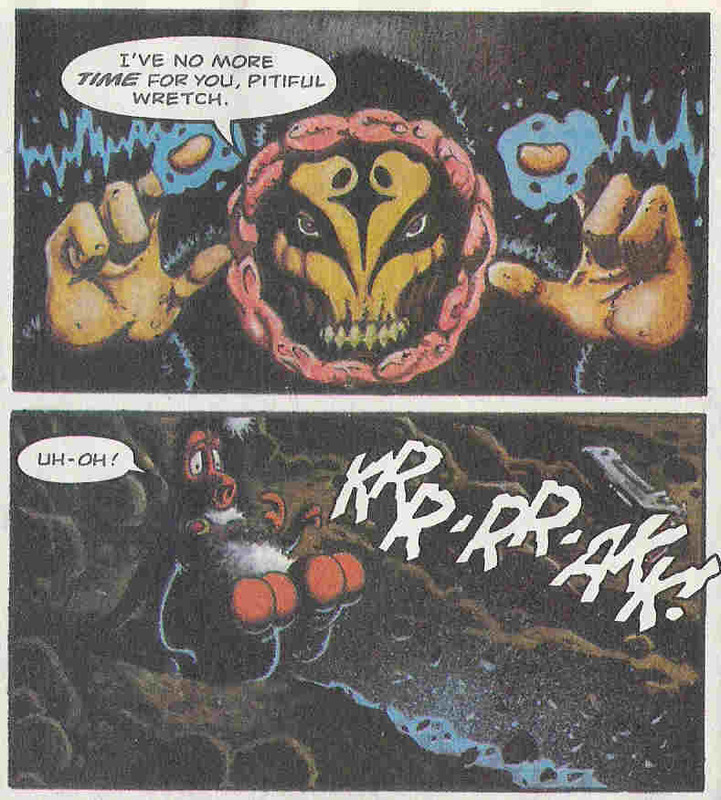 Of course, in time Dobbyn would go on to work on two of the most OTT comedy-violence strips going. Frankly, I question the editorial decisions being made there but it may be that there wasn’t anything better suited to Dobbyn’s talents, and his talent surely demanded that he be given regular work! Backing up a little, there were a couple of curios. Dragon Tales, a very short-lived experiment in trying to write Future Shocks based around the theme of dragons, which really didn’t seem to come off. Although Dobbyn’s two-parter did yield an absolutely spectacular mass-transformation scene as everyone gets their dragon on. He puts so much effort into making every character on panel distinct. And of course Trash, the series that time forgot. It’s one of the stories that I remember quite enjoying at the time, but never loving. When I think back on it I still remember the whole thing rather fondly, but on actually going back to re-read it just isn’t very good. And again, none of this is Dobbyn’s fault. For those who don’t know, the premise is a near-future world in which almost everything has been paved over, and police officer types, known as Trashmen, are employed to enforce eco-friendly laws. Only no one seems to care. 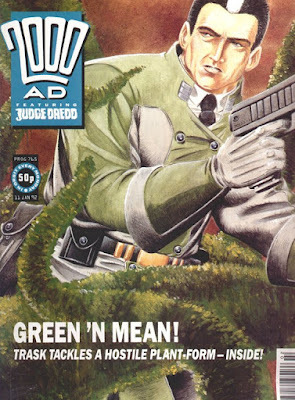 The series stumbles by making the protagonist, Trashman Trask, be the sort of Judge Dredd / Canon Fodder equivalent of the Trashmen (who quits the force to go it alone, natch). But the series does have its charms, the really memorable bit for me being that this somewhat unhinged ‘hero’ uses everything at his disposal to save the life of a dandelion that has managed to force its way up through the concrete slabs. If it had pushed the Taxi Driver elements harder, it could've been a winner. Scenes of this bully admiring said flower are genuinely poignant. But then it was onto guns and guts with the return of the Gronk. 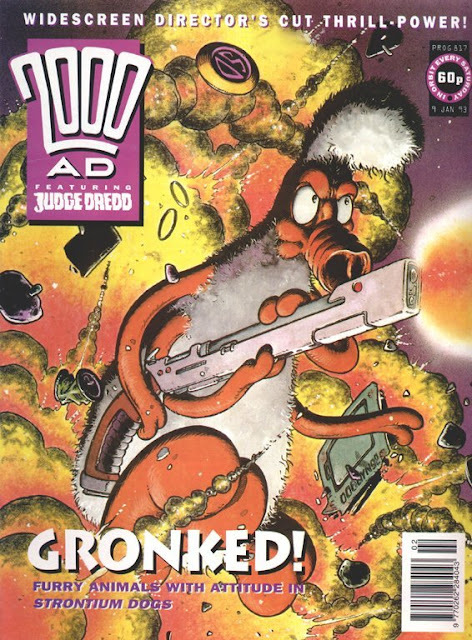 But let's be clear here, Dobbyn's verison of the Gronk is plani amazing - he suits that specific character super well. Thje things Dobbyn does with Gronk's eyes and nose are quite beautfiul and very communicative. 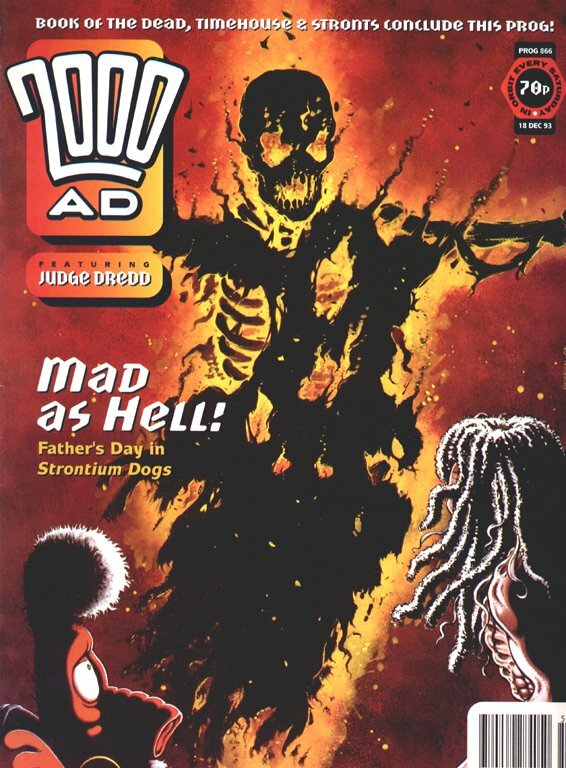 And Feral’s quest into Hell to find Johnny Alpha, for reasons that made sense to Garth Ennis at the time. And, for what it’s worth, it all gives Dobbyn a chance to show off his facility with expressions, as the Gronk gets angry, Feral feels fear, and copes with his own out of control mutation. Dobbyn's style couldn't be more different from Simon Harrison and Steve Pugh. Not quite as strong on the body depiction, but outstanding on the emotions. The scenes actually in Hell do have a sinister undertone. As mentioned above, I find Dobbyn’s style to be a friendly one. Almost because of this, the bits where Feral slowly realises he is wading in a soup of human gore are almost more horrible than they might be under the pen of, say, John Hicklenton, because it’s a crazy mix of tones. But honestly, why was this series not being drawn by Hicklenton, or Chris Weston, or someone who has body horror written all over their work? The ribcage + flesh/goo combination is proper horror. Ennis left the strip to be replaced by Peter Hogan, much more of a natural partner for Dobbyn. Unfortunately the strip ended up suffering from long gaps between instalments, and instalments in which, most of the time, not very much happened, slowly. I’ll be honest and confess that I never really warmed to Dobbyn’s renditions of most of the human-looking characters. The costumes and poses are excellent, but the faces kind of lack that Ezquerra chunky charm. It's that attention to detail (a common feature among 2000Ad artists, it must be said) that makes it work so well. Which leaves us with Red Razors. And, once again, Dobbyn does a creditable job. The point of this series seems to be to showcase Red as a deranged psychopath with a vendetta, who uses every possible opportunity to unleash hot metal death. With a smile. 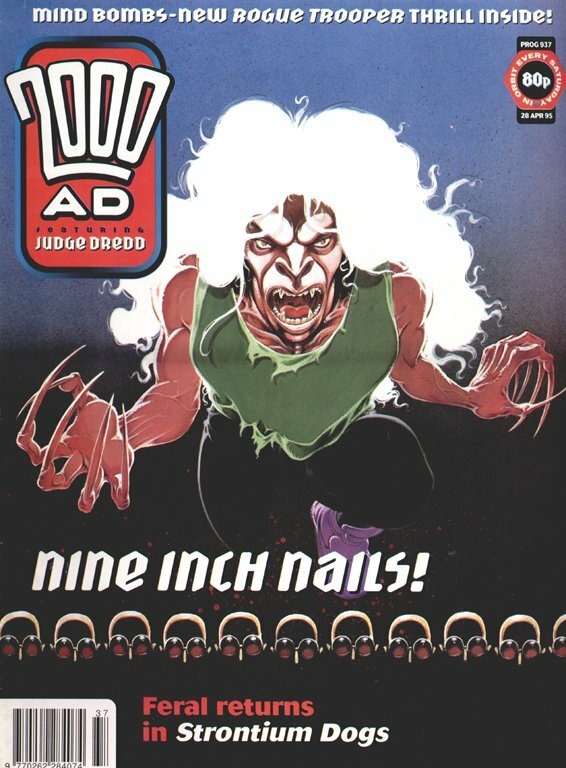 And when you put it like that, you can see how and why it fits into 2000AD, and certainly into Mark Millar. Why is everyone shooting everyone else? Why? And, maybe, if it has been my first series when I was 8 I might have enjoyed those bits of the strip, and ignored the fact that there kind of was no plot, or any character motivation or any of that stuff. Dobbyn, of course, keeps it all grounded so one can at least follow the action. And he does a great line in expressions, shadows, and explosions. 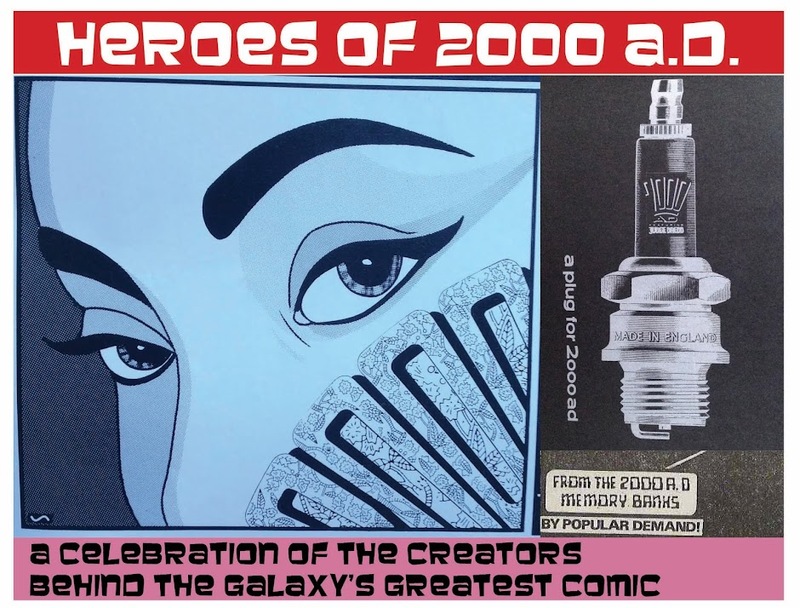 …until last year, when, out of the blue, he became the latest artist to tackle long-lost, much-beloved series Ace Trucking Co. And by gosh, he did an excellent job, twice. It’s laced through with the fluidity of Belardinelli, and you can really feel the setting on board the Speedo Ghost. It’s funny and charming, and I want more! Dobbyn brings the comedy in his drawings, a vital part of any funy strip. I'm reminded of Alan Davis here, which is always a good thing. that’s mostly a career retrospective. 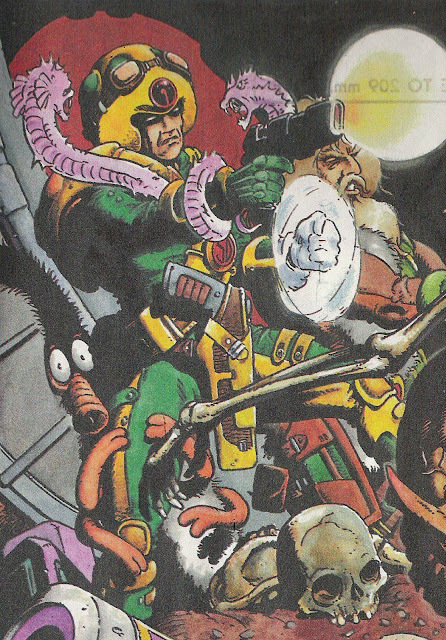 One awaits an in-depth piece from Ennis, Dobbyn and Hogan in which they dissect what they were doing on Strontium Dogs. *Medivac 318 was already a series in short story / novel form before it came to 2000AD, created by Hilary Robinson. Not sure at what point Dobbyn came on board (he may have provided some art for those stories? I’ve never managed to track them down! 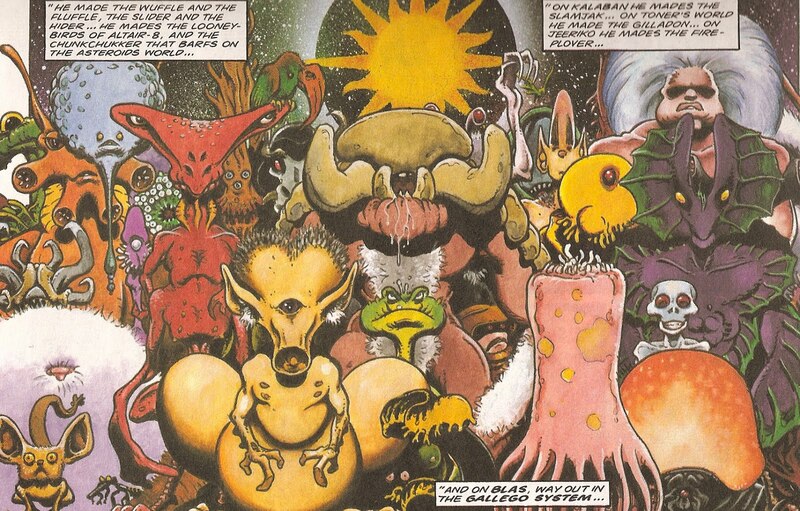 ), but I’m willing to bet that even if he only came on board with the 2000AD strip version, he had a fair amount of creative input into the look of the people, the alien worlds, spaceship design and so on. **The second series of which I am sad to say is a strong contender for worst thing ever written and published in 2000AD. Hey Alex, really enjoyed the de la Cruz and now the Dobbyn pieces. They're the walking definitions of underappreciated talent. I've always loved Dobbyn's work, from when his art would turn up as covers and spot illos in mid-80's fanzines, but this really brings home what a poor hand he was dealt with scripts: there's a fair number of true 2000AD low points in those stories. It's little surprise that his best work for the comic (for me) is on the best script that he got to draw, Medivac 314. I also really enjoyed his recent Ace Trucking, and would like to see more: following the much-missed Bellardinelli on a strip was basically an excuse for the Maestro do his thing must be one of the hardest gigs going, but he carries it off.